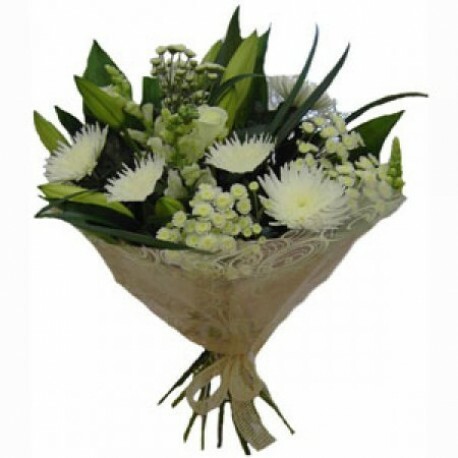 This arrangement of mixed white and green flowers and foliage is unique and hand crafted for you by one of our qualified and experienced team of florists, using the best seasonally available flowers and foliages from all over the world. 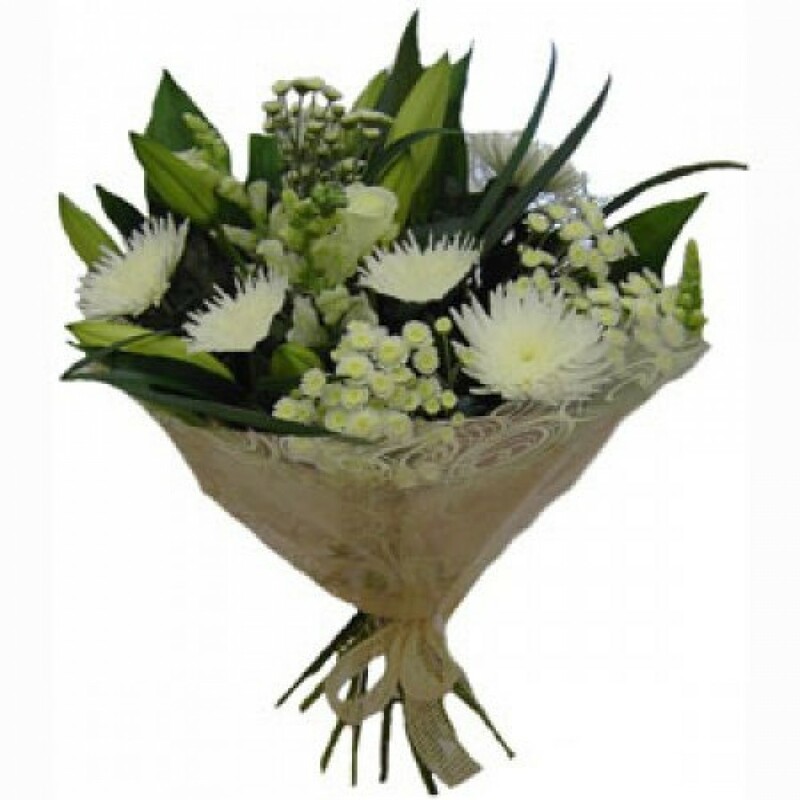 It comes with complimenting cellophane and ribbon and is made to go into the recipients own vase. Each of our designs come with a hand written card message for that extra personal touch.